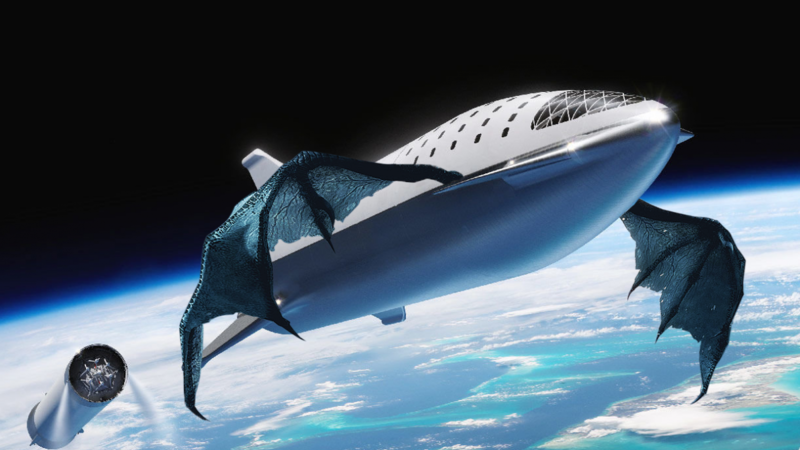 SpaceX CEO Elon Musk is a big fan of Game of Thrones and just before the Season 8 premier last night he Tweeted something along the lines of adding stainless-steel dragon wings to Starship. “With steel membrane wings like a Dragon, we may be able to lower Starship’s orbital reentry temp to ~1000 degrees C, which would allow the whole surface to be uncooled bare metal,” said Musk. Read more for a video explaining why Starship has a stainless steel design and additional information. “Crew Dragon has yet to ferry actual humans to the International Space Station, but it will eventually have some dragon riders on board in the form of NASA astronauts. They just won’t be wearing stylish fur coats like a certain queen we know. Starship, minus dragon wings, currently exists in a prototype “hopper” form for testing purposes,” reports CNET.